“Wondering if you might be able to do an oil change,” I asked. “Won’t work. I am just passing through. What are you working on there?” I asked. The frame looked like part of a Lego set, with various pieces of the bike surrounding it on the floor and up on work benches. “Who is racing the bike?” I asked. “You race?” I asked in disbelief. “My first race was in St. Mary’s, Pennsylvania 53 years ago and I have been racing ever since. I plan on racing and winning this upcoming week,” Bill replied with a steady voice full of conviction. “I am trying to get a little bit more horsepower into the engine, but I am not so sure it is going to work. The rings might be just a bit too big,” he said, looking at his bike like a pet owner looks at the dog that went to obedience school but still can’t quite behave. 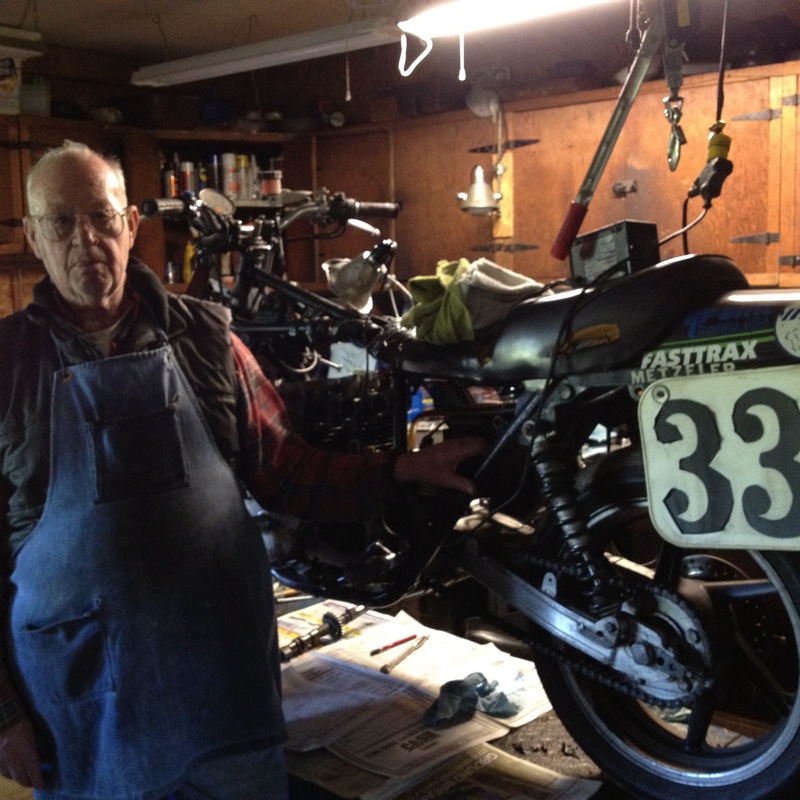 Bill began to give me a tour of his garage, showing me his collection of Kawasaki motorcycles. “That one, got it in 1966. This one has 90,000 miles that my wife and I put on it. See the gun rack on the back of this one? Well, that is the one my wife and I ride. She has crutches. So we put the crutches on the gun rack. All told, I’ve gone over 200,000 miles on these Kawasakis,” he said with a look that hinted at a thousand stories to go with those miles. “Bill, I am just curious. The bike you are working on – how fast will that go?” I asked. “One hundred fifty-one miles per hour,” he replied. “And when you race, how fast will you go?” I asked. “One hundred fifty-one miles per hour,” he said with great certainty. “And how old are you Bill?” I asked. “Seventy-seven years old,” he said. “I have broken 33 bones in my body. Broke my leg one time just sitting in a pit stop and a bike came in too fast and swiped my leg,” he said as I looked at him, stunned. When I once hit 90 mph on my motorcycle, I thought I was flying like a torpedo. That is about all my courage can take. 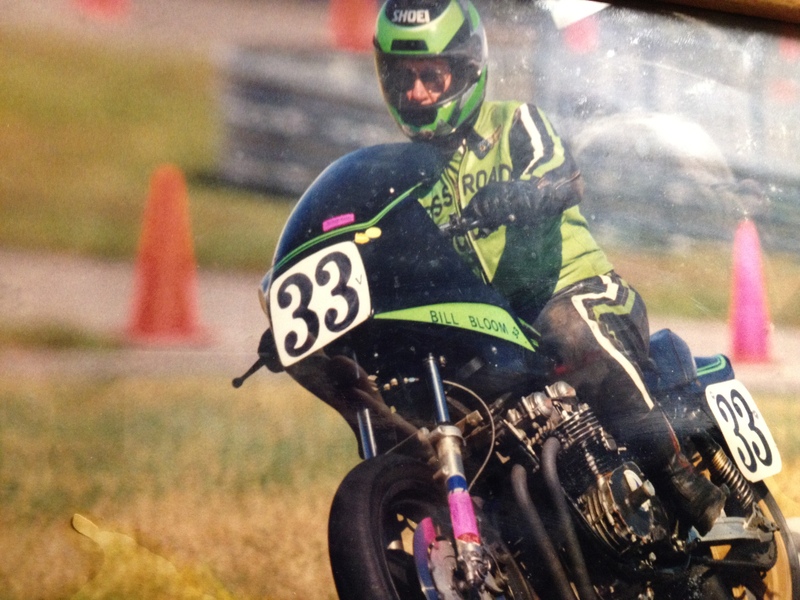 Here was Bill in front of me at age 77 heading out to race his rebuilt, souped-up Kawasaki at 151 mph. I thanked Bill for the help. Every once in awhile you meet someone who reframes for you what is possible. 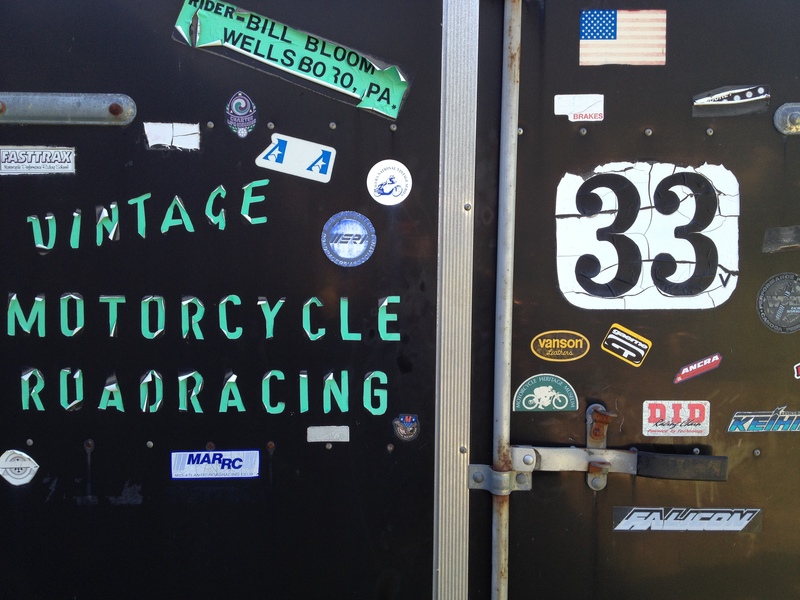 A man who runs a motorcycle repair shop in the Allegheny Mountains in Wellsboro, Pennsylvania did that for me. As I rode away I thought, I am not sure I want to go 151 mph at age 77, but I certainly want to be able to have passions that motivate me beyond what I might think is possible. If you find your world getting smaller and less full of possibilities, just think of Bill Bloom, at age 77, on a race track going 151 mph, chasing his dream. And then ask yourself, what dreams am I loading into my trailer?